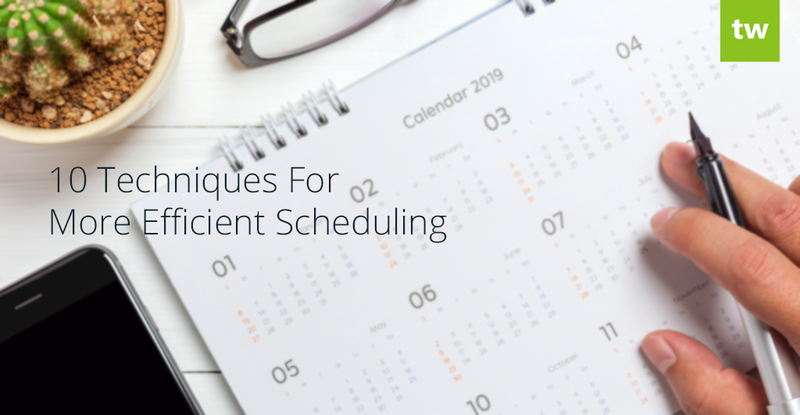 This article will explore 10 techniques that you can implement with some help from Teachworks to streamline the scheduling process and increase efficiency. Not only will these techniques help you to shave several minutes off your day, it will also help you to save thousands of dollars in labour costs over time. Each technique includes an estimate of the time-savings you could experience as a result. You can quickly navigate to the “Schedule Lessons” form by clicking on a particular date or time slot directly in the main calendar, teacher calendar or location calendar. With this method, you don’t have to navigate away from the calendar and once the “Schedule Lessons” form is rendered, the date and time is already pre-filled, allowing you to save time on both navigation and data entry. You can click and drag lessons in the main calendar to easily update the time or date. You can also perform this action in the location or teacher calendar to quickly update the assigned location or teacher. The fields are updated automatically in the background allowing you to immediately start working on other tasks. This method is more streamlined than having to open the form to open a lesson, manually updated the fields and saving the form. In many education companies, students sign up for multiple lessons that follow a specific pattern (for example, once per week on Wednesdays). With the repeating lessons feature, you only need to enter lesson details once and select repeat settings to quickly create multiple lessons in bulk. Teachworks allows you to easily schedule repeating lessons by date, day of the week, or day of the month. Entering a teacher’s availability is a great way to quickly spot openings in their schedule without having to refer to information stored in a different place. The Teachworks Teacher calendar makes this process very easy as you can easily see availability and unavailability for all teachers in one place. This technique is especially useful when a customer phones to schedule a lesson. You can quickly scan the calendar, see who’s available, and schedule the lesson without having to phone them back. When scheduling new lessons, there are a few required fields that you need to complete. This includes the teacher, a location and a service. For larger or expanding companies it can quickly become difficult to remember which teacher, location or service to select for a specific student. A good way to streamline and simplify this process in Teachworks is to select defaults on student profiles. When a lesson is scheduled and a student is selected, these fields are pre-filled. This method allows you to save time and reduce clerical errors. Customers already know their own schedules and allowing them to request, join or book lessons in their own time will help you to save a ton of time. Copying lesson settings is a quick way to replicate existing lessons in Teachworks. If you need to schedule a lesson for a student that’s similar to another lesson, you can use the copy feature to copy the lesson settings and you’ll only have to update the necessary fields (such as the time and date). Viewing all locations and their associated lessons in a single calendar allows you to quickly spot available rooms for new lessons. This is very useful for companies that book specific rooms for lessons. Teachworks offers a dedicated Location calendar to speed up this process. You can save a lot of time by using a conflict checker tool when scheduling. Teachworks’ conflict checker allows you to check any clashes with teacher availability, existing lessons, or locations quickly and efficiently. This speeds up the process significantly as you don’t have to manually look at these aspects when adding a new lesson or a repeating series of lessons to the calendar. Teachworks allows you to set wages and lesson costs automatically (based on pre-defined rules) when scheduling lessons. This technique saves time and reduces clerical errors. It also eliminates the need to look up prices or wages and perform calculations manually. We’ve also compiled a free ebook that you can download below. 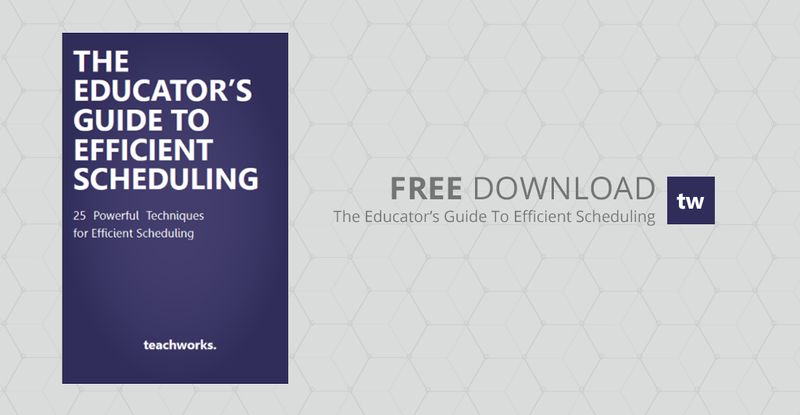 This guide contains 15 additional techniques that can shave minutes from scheduling tasks, adding up to massive time-savings, lower labor costs and higher profits for your teaching business. Interested in learning more? Download it here!